The Borgias~The Borgias in Love | ~*2Deep*~ Uncensored! Episode 1 & 2: The New Tudors? Today is Easter Sunday….I wonder what debauchery will be brought forth in this episode. Hmmm…whatever it is, I pray that it is worth asking for forgiveness. WOW!!! How creepy to have Lucrezia come out of the water that way, all pale and float into the painting in the ceiling!!!!!!! PERFECT ENTRANCE AND BRAVO TO THE CINEMATOGAPHER & DIRECTOR!!!! I still feel terrible for Lucrezia and the man she was forced to marry. Shame! I know for a fact that I was born in a time where I too am given to option to love the man I marry. Who would have thought this would have ever been a perfect choice for her. Shame on her father! That last episode and every scene with Lucrezia and her husband Swartza….still bring emotions for me. Great job on the writers! Now, Cesare and this woman who he met at his sister’s wedding….wow! Dudes back then could meet a woman from a dance, catch feelings and be ready to kill for her? Where did that part of the male chivalry and romance go?….lol. So this woman is married and yet, that does not stop Cesare from wanting her. And of course Cesare’s mother brings forth the idea that he could leave the church to have a life with this woman if he so dared. Wow…. Cesare told the woman that he would put her heart “in fear of its life, but he would never harm it.” WHO WROTE THAT?!!! I need to follow them around to obtain such genius. I need for them to speak more clearly!!!! I just missed a very important line due to mumbling!!! Something about threatening Lucrezia’s husband with some kind of possibility. It would have to deal with Giovanni Swartza’s nephew, i suppose. Rovere is spending all of this time traveling; first Naples, then Florence, and now Milan? Oh wait…..so it was not Lucrezia’s husband (Swartza) that the Pope spoke of…but his cousin is Giovanni Swartza. But wait… did he (Giovanni) just pee through the floor onto his nephew for him to drink? EWWWWW! But at what point was Rovere fulfilling his cardinal duties? LMAO!!!!!!!!!!!!!! The revealing for the portrait for Princess Silvia from Navarre(sp) almost had me choke on my Sauvignon Blanc…lol. Juan’s face was simply priceless….lol. But help me understand, is Lucrezia so longing for companionship that after being practically raped she is so connected to the servant, Paulo? But I guess some victims behave differently. But brilliant to have Paulo mess with Swartza’s saddle to make him fall. LMAO!!!!!! So the Cardinal (Swartza) was caught with his cousin, twice removed Jerry Lee Lewis style, leaving his room with sexual purposes floating in the air when the pope walks in. Funny how the pope said, “I would hope more than twice removed”. And his going to Milan killed the Duke that was chained in the floor, the nephew. Wow…..thsoe people had not a care in the world. 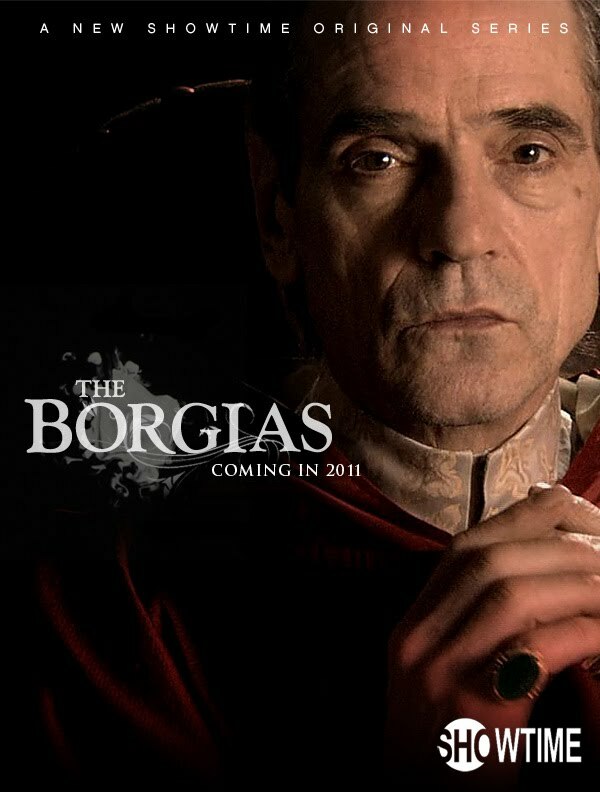 I quote “Now my best would break your promise, Borgia” . Even the Assassin is a poet, I see. Damn, Cesare…… a dude disrespected your mother and you killed the Barron? Remind me not to say anything about your mother, Vannozza(sp). So, Swartza did fall off of his horse and broke his leg… back then that could almost be deadly if not set correctly. But I think that this should be a warning to the heads of households who do not properly treat those who support them. I make a personal reference on that sentiment. Oh, what I would give to return to 1492………And Scene.